dawning 2, emiko oye. Inspired by Louise Nevelson. For as widespread as the Art Jewelry field has grown over the years, I'm constantly surprised at what a small world it really is, especially with more and more artists and galleries active on social media. My recent trip to London is a prime example. Per my obsession with artwork by the sculptor Louise Nevelson, we discovered an art jewelry gallery in the antiques quarter that has one of the largest collections of rare Nevelson jewelry. She did not make many pieces and made them primarily for herself, so to come across a whole lot is quite amazing. Rewind about 6 months ago, one of my Nevelson inspired neckpieces, dawning 2, gets tagged on Instagram on the @artistjewel page, a gallery that primarily features vintage art jewelry from the 50s-80s. We have a short convo and that is that. Fast forward to a few weeks ago and I'm standing in said gallery space, Didier, LTD, walk in the door (appointment only) wearing my jewelry, of course, and the owner greets me with "You're wearing work by that San Francisco artist". HaHa! Glad to know that my signature style has crossed continents! 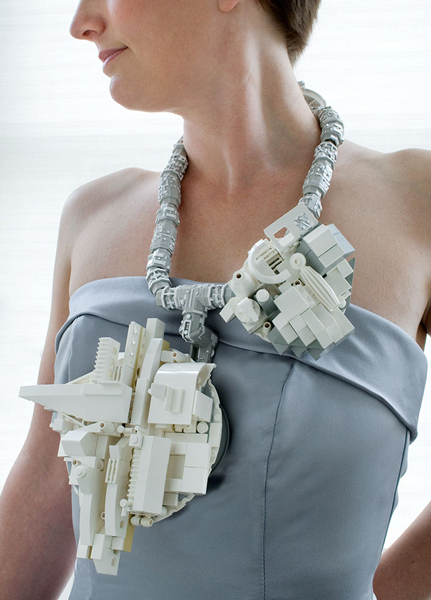 As it turns out the gallery is also a member of the Art Jewelry Forum, so they own the exclusive reware LEGO pin that I created for AJF this year. The next 90 minutes was a whirlwind tour of the history of Art Jewelry by famous artists, being able to view upclose and personal, even trying on a few pieces, like the spectacular kinetic earrings by Jesus Raphael de Soto. What a treat, my brain was chock-full and spinning by the end of our visit. Didier gifted us a few exhibition catalogs as we walked out, which I'm grateful for as a continued resource. 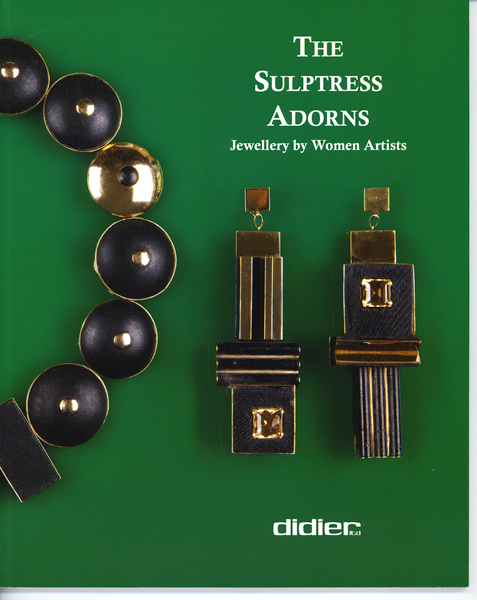 For anyone attending SOFA Chicago this fall, make a point to stop by Didier Ltd's booth, there are treasures to be discovered!